At what point do we stop giving Raffi Torres the benefit of the doubt? Maybe he’ll change, maybe some day. If the definition of insanity is doing the same thing over and over and expecting a different result, consider the NHL certifiably deranged. 41 games. That’s deserved. Let’s get that out of the way now. Torres has been suspended 5 times in his career. Should the NHLPA appeal on his behalf? No. The Player’s Association should not appeal this. If they did, it would compromise the safety of other players. Not because Torres would come back, but because a suspension like this shows that the league will not tolerate pure violence in the sport. So, what happens now? Torres goes home, relaxes for half a season and then comes back as if nothing ever happened. With the length of this ban, opponents will probably even lose their thirst for vengeance before he comes back. But there is one more stage that needs to happen. 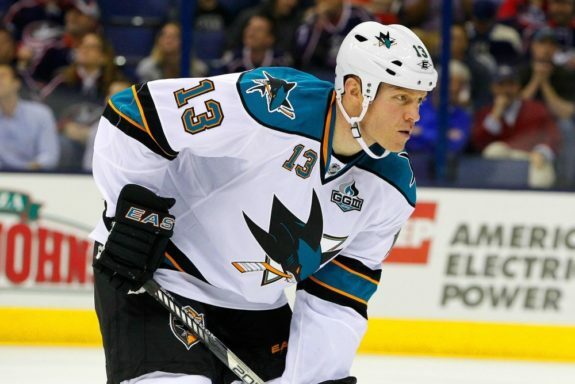 The San Jose Sharks must release Raffi Torres. The Sharks are on the cusp of a new era. An unprecedented offseason filled with major moves has shown that the Sharks are making a push to shift the narrative about them. Torres, who has been sidelined for the majority of his time in California, should not be a part of that new narrative. New faces and veteran presence have reinvigorated a tired franchise. The skill level has been significantly altered and expectations are higher. But Torres is not a part of those expectations. He is a novelty act that is no longer welcome. The Sharks should be able to use their new roster to make an impact in the NHL. And as many writers have mentioned, the role of the traditional enforcer has dwindled in today’s league. The plan of Peter DeBoer and company relied more on skill players than classic intimidation tactics employed by Torres. Therefore, releasing Torres does little to damage a solid lineup. In fact, his absence opens up a spot to one of the many youngsters that was left off the opening night roster. The controversy over Mike Brown and John Scott stealing time from these same kids last season was set to happen all over again this year. Now, players like Nikolay Goldobin and other kids will be able to audition for the big show. Last of all, who is going to pick Torres up? With his history, he is a season-long suspension waiting to happen. His presence on a team may strike a modicum of fear into opponents, but now it will give coaches and managers pause. With the brewing hatred over the most recent violence committed, it will be even tougher for a manager to justify the signing of a player like Torres. There’s an opportunity here. A chance to make a real statement. Doug Wilson can show real integrity and set precedent. 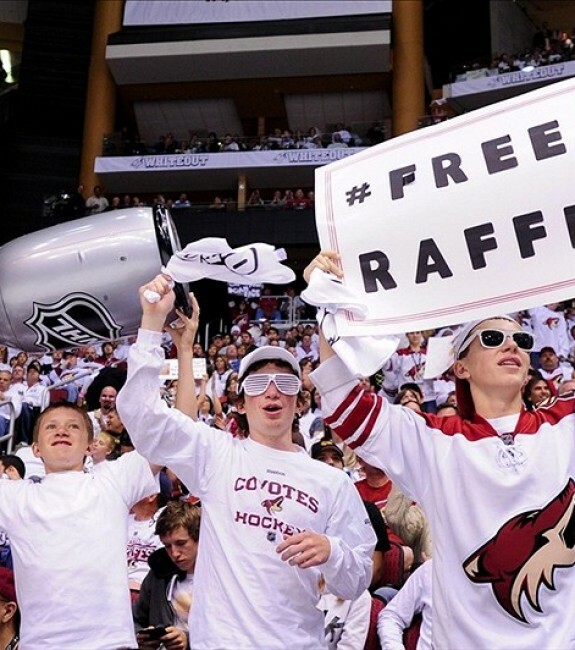 By releasing Raffi Torres now, he sends the message that this kind of violence is unacceptable. He is not going to miss Torres on his roster, either. Wilson should come out with a press conference as soon as possible. He must take a stand and lay down the law. The integrity of the sport is under attack, and the Sharks will not be accomplices to it. An impassioned speech should call for the rest of the league to take the same stand. The Sharks can pilot the league into an era of health and safety.